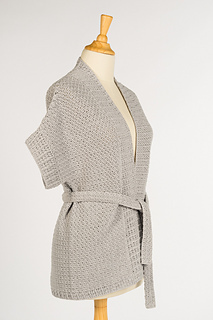 Trendy oversized cardigan, wear it loose for a casual look, or with the belt for a more sophisticated look. 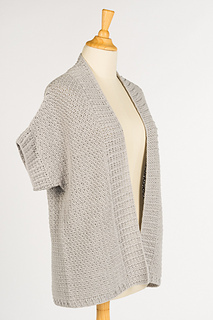 Topdown design with a seamless construction. 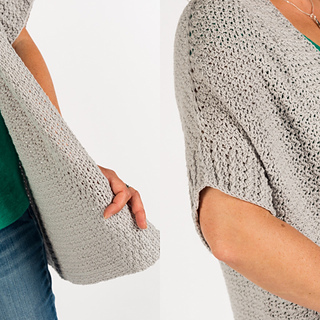 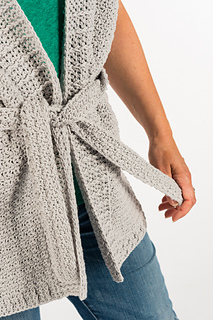 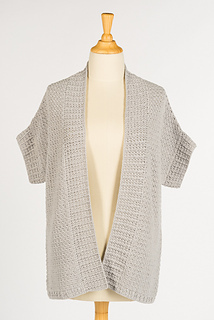 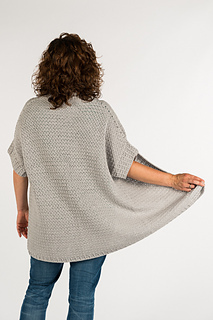 The slanted sleeves giving this cardigan a trendy look and great wearing comfort. 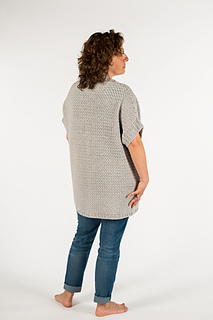 Fully written pattern in 4 sizes : S-M, M-L, L-XL and XL-XXL. 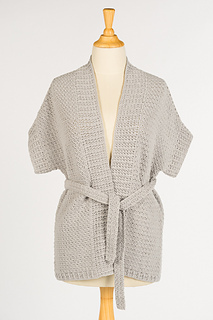 Wrap yourself up in this comfortable trendy design ! 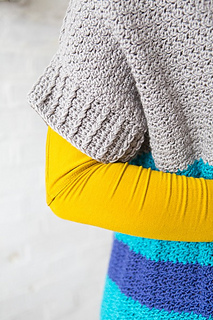 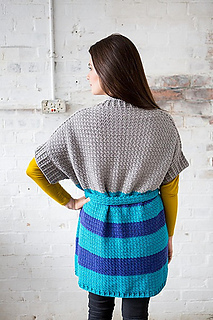 Make a neutral solid colour version, or go wild and colourful by alternating different colours and stripes ! 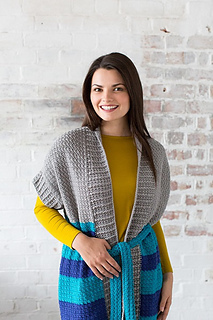 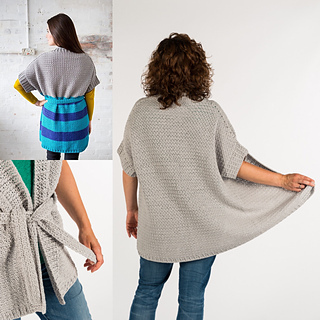 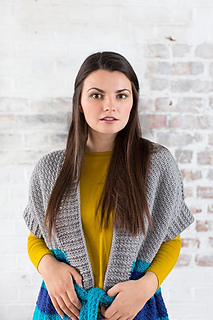 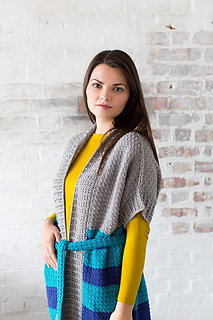 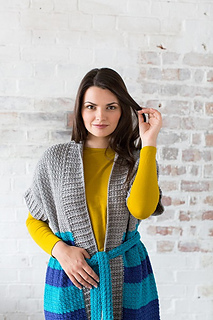 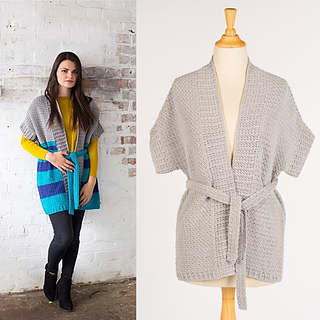 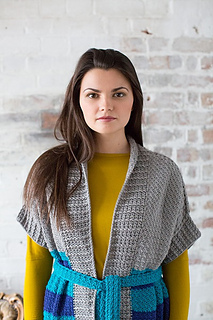 This design has been published in Inside Crochet Issue 83 as well, many thanks to their photographer for the amazing pics of the coloured cardigan.